Starting at your latest post first! And....I appear to be FRIST! She'll be a great guide! You must be VERY proud - congratulations! Willow seems proud of its job. She has always been a good worker! 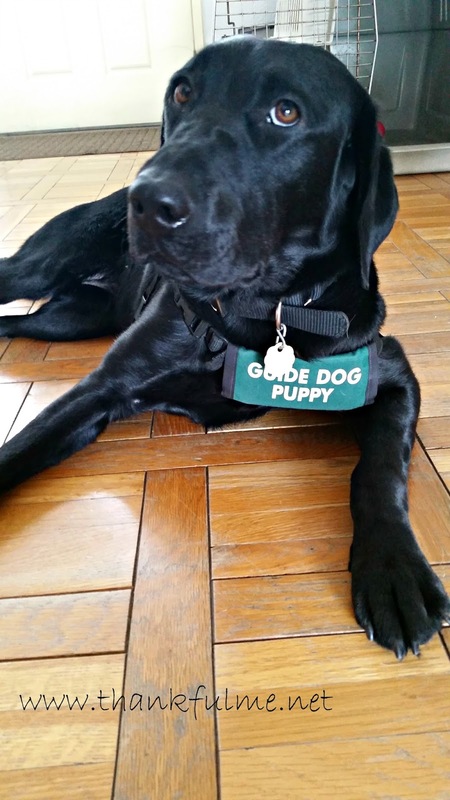 I met the puppy raisers of my guide dog once. They visited the school one evening, but that was the last time I spoke to them. Of course, they spoke only French and I did not speak it at all, but perhaps keeping in touch is easier these days, with social media and email. How much contact the puppy raisers have with the clients varies. One of the raisers in our group has frequent contact--even meeting her this summer at Disneyland, but others don't really stay in touch. Oh, that sweet Willow! She's a full-fledged working girl! You did a great job getting her there, Kristi, and I hope her person will want to keep in touch with you. I know I would. She is going to be a wonderful companion! Congratulations to Willow and to all of you for doing such a great job!